Chiccheio is a deep-colored wine made of 100% organically grown Cabernet Sauvignon (95%) and Merlot (5%). An explosion of fruit aromas, cherries, sour cherries and other ripe fruit. Smooth, soft and well balanced with well integreated tannins. A complex wine perfect for meditation, best alone or paired with aged cheeses. As a family operated winery, it is family that inspires the names of some of the wines. Chiccheio is the name of the owner’s little nephew used to call his aunt Enrica (Chicca) and uncle Aurelio (Eio). Rated 95 points by renowned Italian wine critic, Luca Maroni. 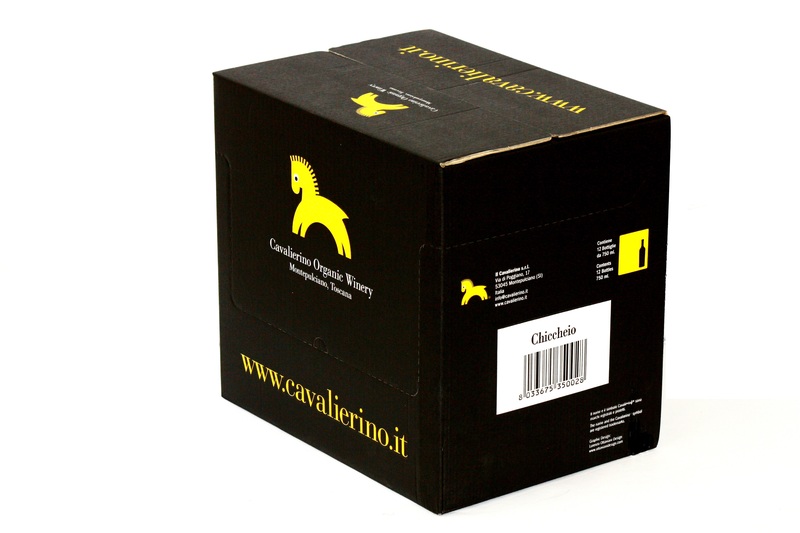 Chiccheio was also named the 3rd best wine of Italy in 2013. Harevest is done manually, then the grapes are pressed softly and sent for fermentation in stainless steel vats at controlled temperatures.